Daphne’s love and commitment to theatre shines from her like a neon sign; however, while neon is cold light, her drive is white hot. She has steered her career like a seasoned yachtsman negotiating a rocky shoreline. She is a masterful theatre producer, who never appears to stumble along the rocky path of South African theatre, and yet it is pitted and she has had to claw her way along it with admirable success. In all of this she is a wife, mother, and grandmother and family comes first. 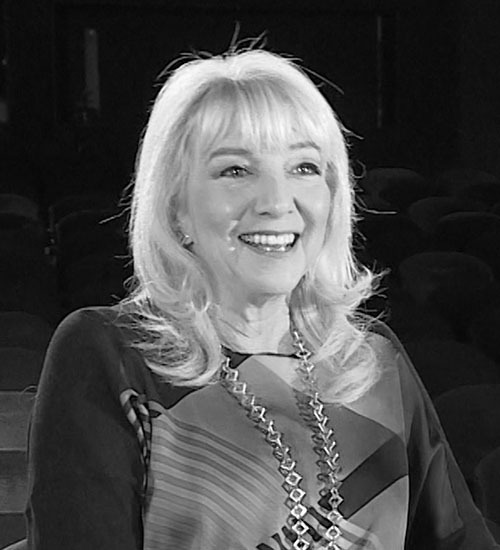 She has achieved this balance through tenacity; she had a vision and planned her life every step of the way; from studying music and drama at Pretoria University to joining the SABC drama department, doing a course in business management, doing publicity for the Market and the Civic Theatres, joining Joyce Levinson to initiate the Children’s Theatre. Every career move had a plan and an expected outcome. Daphne is smart. And then she took the plunge – she started her own theatre in Rosebank, Johannesburg. When that proved too small, she opened the Theatre on the Square in Sandton. Daphne is proud of her theatre and spoon feeds it like a third child checking that every morsel fed it, will nourish and entertain her regular audiences. She generously mentors young theatre practitioners; she has group talks after shows where her audiences discuss the play and playwright; she also has classical music concerts where the players can take home the nominal takings from the door. Her interview is clear and direct. A student of theatre can well learn from her strategy, which she shares with no holds barred.